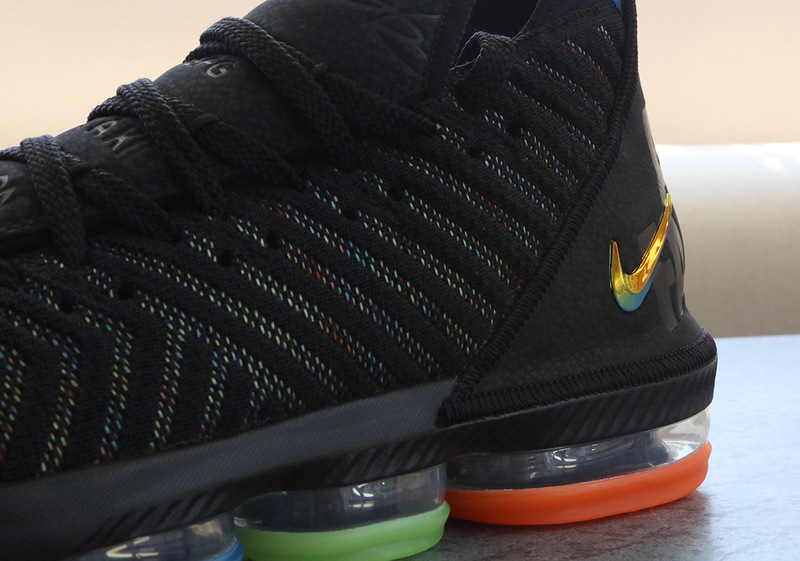 Nike is saving the best of the LeBron 16 “1 thru 5” for last – at least according to LeBron’s personal choice. 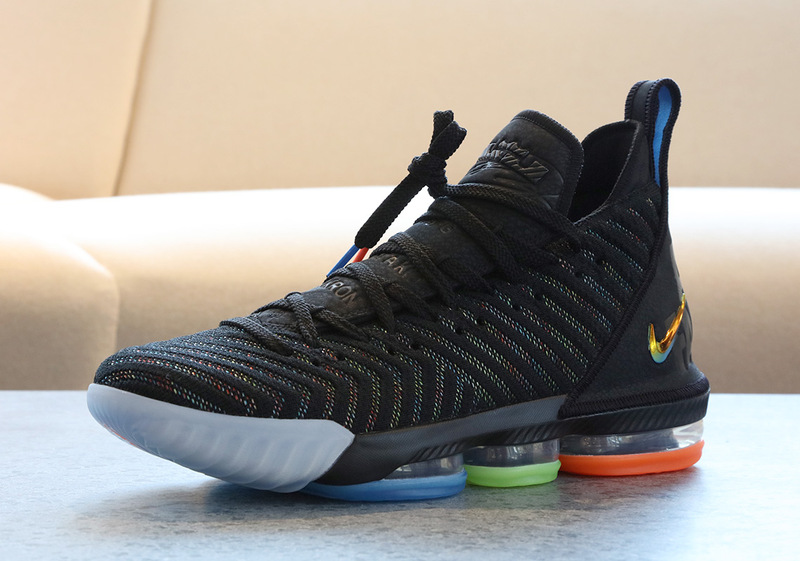 The King actually calls the “I Promise” colorway his personal favorite as it is inspired not only by his own children, but by the school that he opened up earlier this Summer in his hometown of Akron, OH. 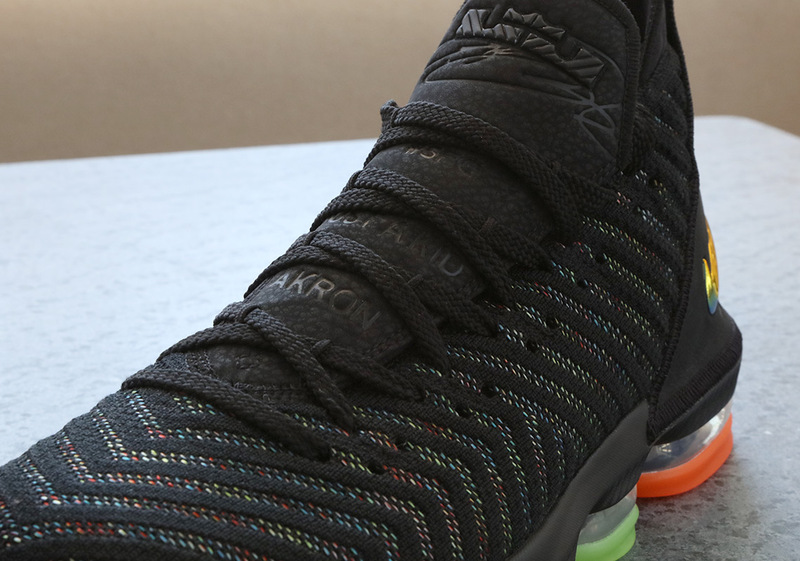 The shoes feature a black Battleknit 2.0 upper with an array of colors on the underlay as well as the outsole that represent his family, while a bold WE ARE FAMILY message is seen on the triangular leather heel wrap. 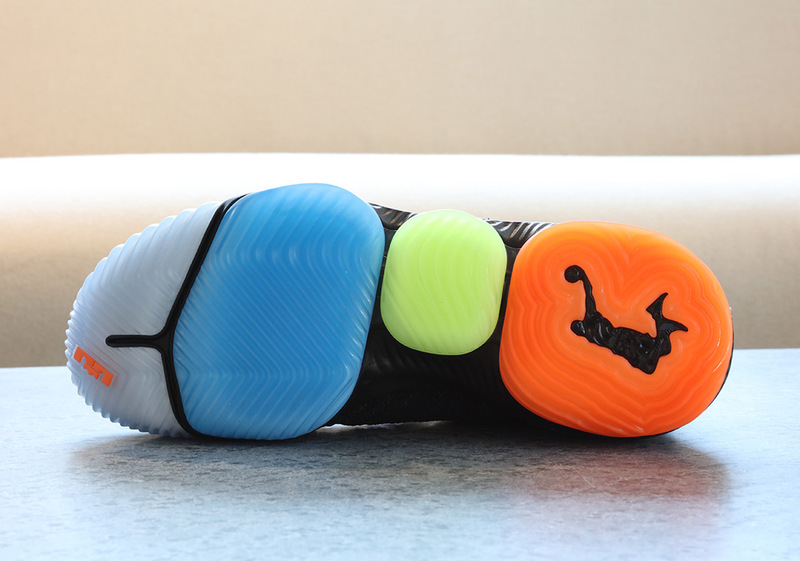 This iteration also represents the Center position, which reflects his role as not only the father of his family, but as a pillar of hope for his hometown. 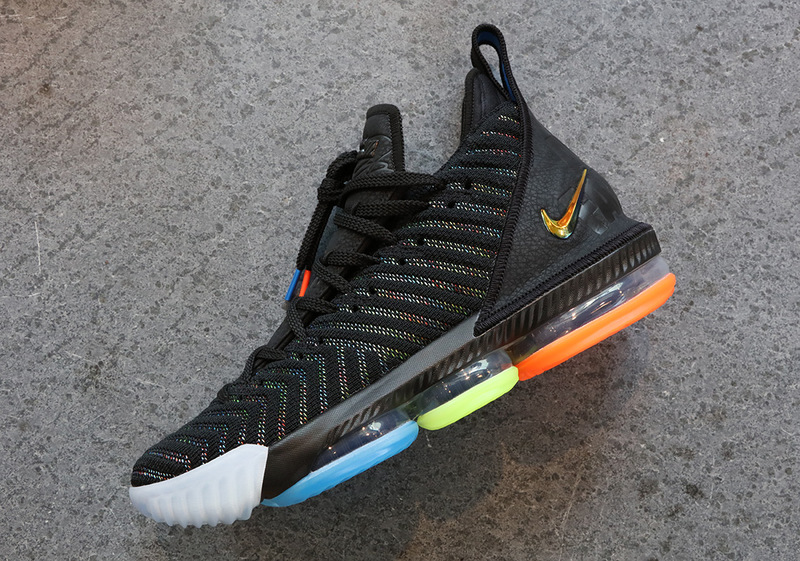 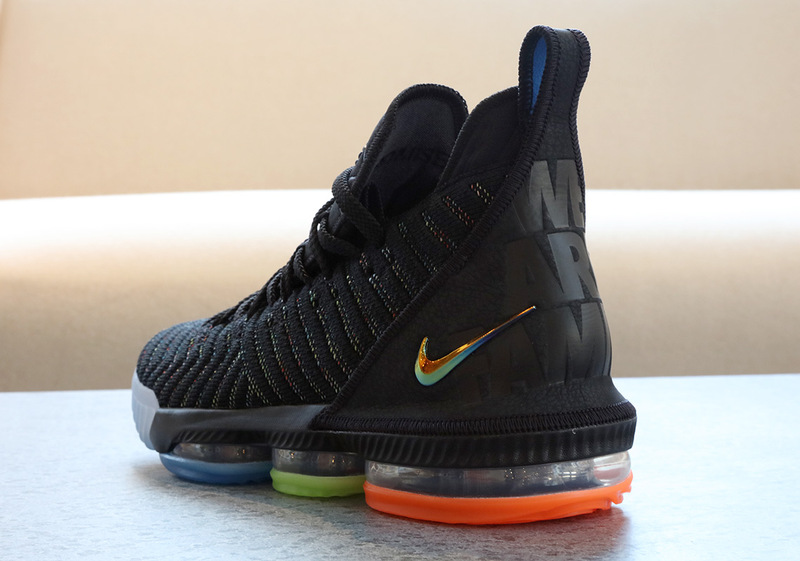 The Nike LeBron 16 “I Promise” is set to release this Holiday season, as will the LeBron 16 “King” version that will be worn on opening night.